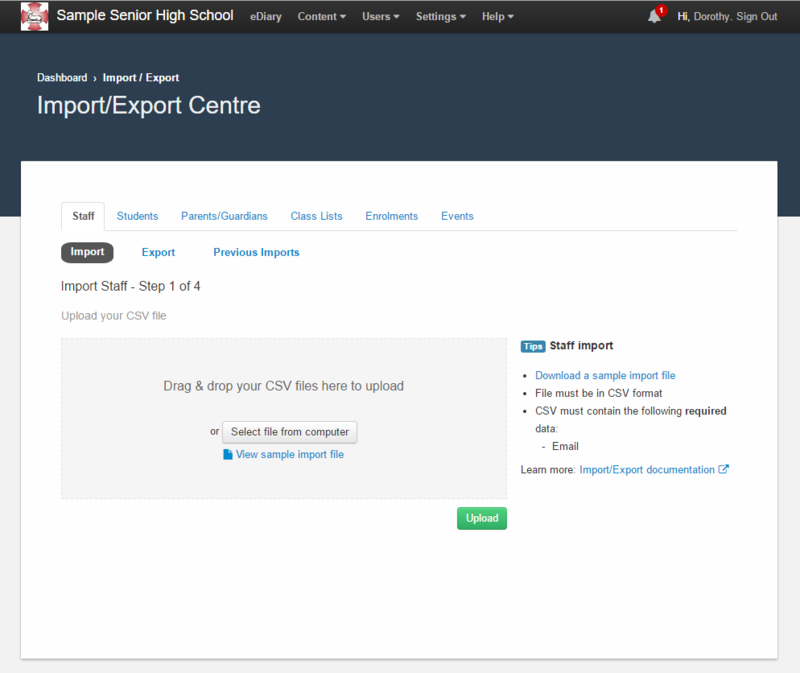 The CSV Import Tool is used to perform a bulk upload of staff, students, class lists, enrolments, parents/guardians or events to MyEDiary. This needs to be used if your school does not use one of our integration partners to manage your data (for a list of systems we integrate directly with see here). This CSV Import Tool can be found under Content -> Import/Export. From here you can download sample files that you are required to populate with your school data. Once these sample files have been populated you can import them into the eDiary using the CSV Import tool. The tool gives you the option to either import or export data. 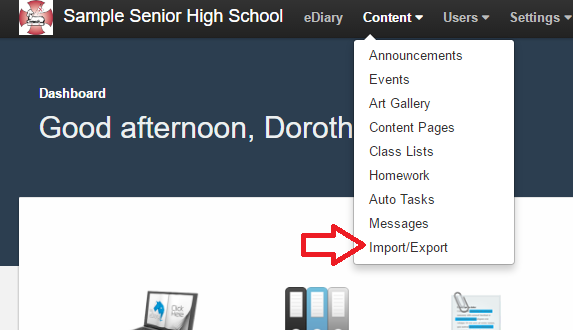 Using the import feature will add data to your eDiary. Using the export feature will give you a CSV file of the data that is currently in the eDiary. See below for tutorials on each of the import features.